A merger between DuPont and Dow Chemical would be an activist coup on Corporate America. The U.S. chemical giants, each valued at roughly $60 billion, are in advanced talks, according to Reuters, a testament to the persistence of pushy investors Daniel Loeb and Nelson Peltz. If the century-old companies pull off a deal and a reported three-way split, it could be this generation’s version of barbarians at the gate. Hedge fund billionaires have spent two years pushing for big changes at the producers of everything from plastics to genetically modified seeds to Kevlar body armor. In January 2014, Loeb said his Third Point fund held a significant stake in Dow and urged a spin-off of its petrochemicals unit. The firm eventually agreed to add four new independent directors in return for Loeb’s signature on an agreement not to agitate further. That so-called standstill agreement expires next week. Earlier this year, after months of private talks, Peltz’s Trian Partners launched a proxy fight aimed at getting DuPont’s then-Chief Executive Ellen Kullman to separate the company’s agriculture, nutrition and biosciences units from its slower-growing building and safety materials divisions. He lost the battle but held onto his shares, and Kullman was ousted five months later after the company warned of lower profit. Her replacement, Ed Breen, who presided over a major restructuring at Tyco International, quickly put a break-up back on the table. A merger of equals, followed by a split into separate companies concentrating on agriculture, specialty chemicals, and materials, would cement the activists’ influence. Peltz in particular has long championed breaking up stodgy conglomerates to improve their focus and free management of the separate parts from the control of a bureaucratic head office. In 1988, KKR’s acquisition of RJR Nabisco – immortalized in the best-selling book, “Barbarians at the Gate” – proved that no blue-chip boardroom was safe from a new class of corporate raiders. Today’s gate crashers are more interested in influence than ownership. But if Loeb and Peltz succeed in pushing two of America’s biggest and most time-honored companies to, in effect, dismantle themselves, it would be no less of an historic moment. 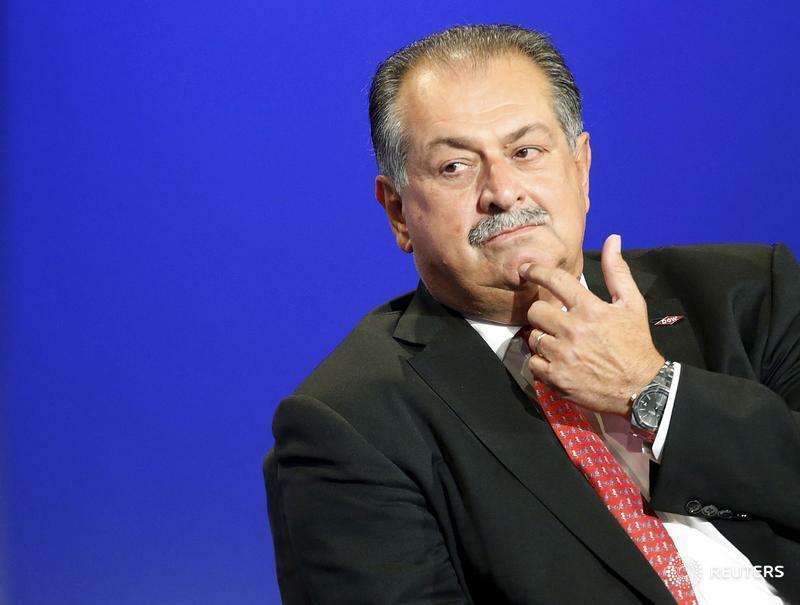 Dow Chemical and DuPont are in advanced talks to merge, according to two Reuters sources familiar with the situation. The discussions were first reported by the Wall Street Journal on Dec. 8. The U.S. chemical giants, with a combined market capitalization of about $120 billion, are contemplating a merger followed by a breakup into three parts, according to the newspaper.